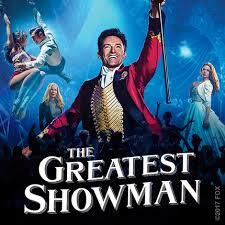 Our final film for 2018 is The Greatest Showman, a musical film starring Hugh Jackman which celebrates the birth of show business through the story of PT Barnum and his famous circus. He was a visionary who rose from nothing to create a spectacle that became a worldwide sensation. The film stars Hugh Jackman, Michelle Williams and Zac Efron. Admission is £5 (including coffee and biscuits) and the films starts at 7.15 pm, allwelcome.